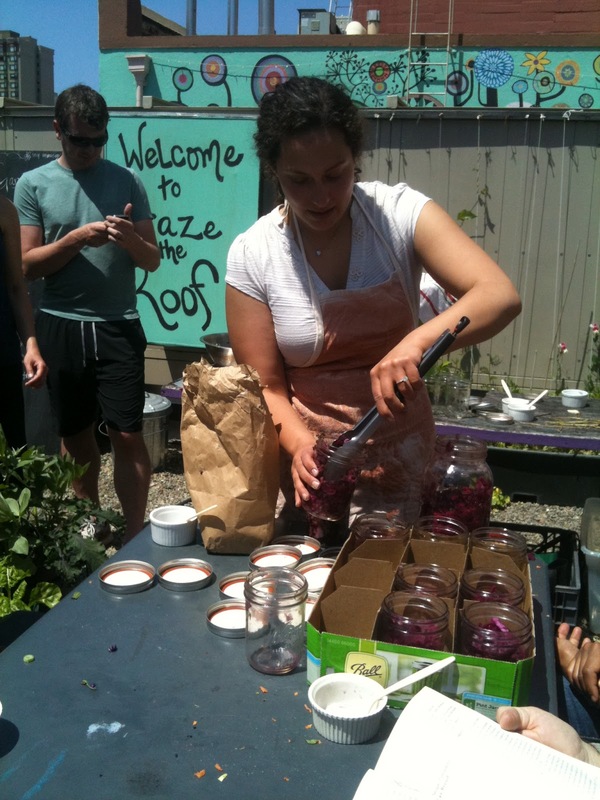 Graze the Roof: Flavorful Fermentation! Graze the Roof sparkled on Sunday May 6th with the dynamic flavors of Fermentation. Samantha Hanan of Northwest Catering invited twelve inspired workshop participants to chop, dice and shred fresh and seasonal ingredients which included purple and green cabbage, carrots, spring onions, dill, and vietnamese coriander that together created a huge vat of juicy, delicious and healthy sauerkraut. 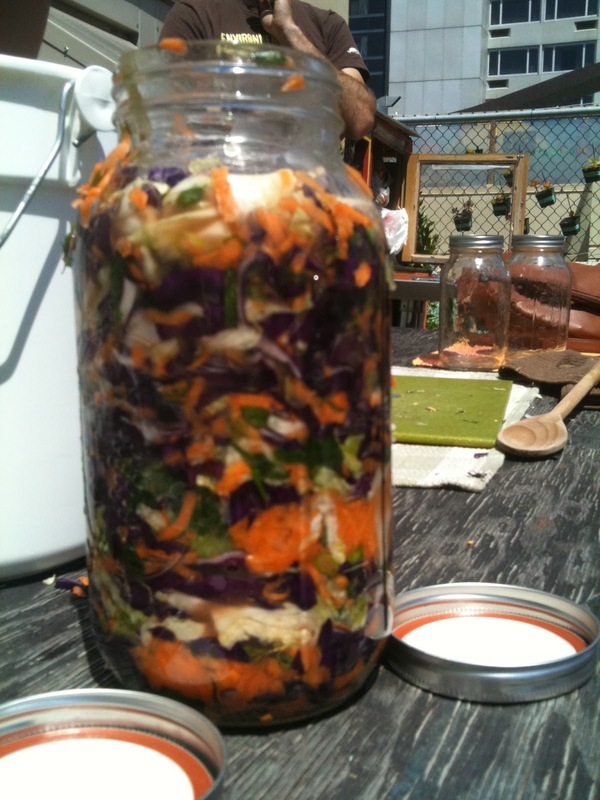 We learned about the health benefits of eating fermented foods, like activating digestion and infusing your system with good probiotics. Through demonstration, and discussion everyone walked away with new knowledge and experience for how to ferment their favorite foods at home. Samantha's passion for this speciality fermented food was palpable and in the hot spring sun amidst the flourishing rooftop garden, our mouths watered and newfound culinary inspiration was seeded. Samantha and Ryan are located in Bodega Bay and will start serving up delicious and unique offerings every Sunday at the Bodega Bay Farmer's Market starting Sunday May 27th, 2012!